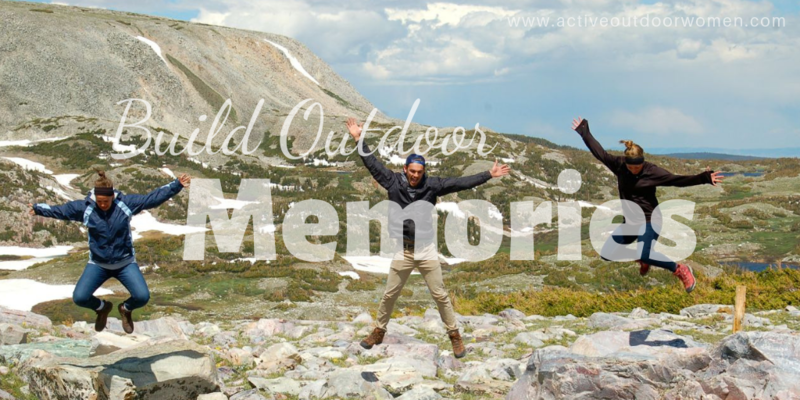 Why are outdoor travel and recreation such an awesome way to build memories? Lasting memories are built from things that stand out in our minds. The natural world is so full of beauty, drama, fascination, majesty, intricacy, variety. It captivates our senses, our minds, our emotions. The wonder of experiencing a new outdoor destination and the satisfaction of visiting a familiar one are both wonderful. The joy of doing an activity we enjoy or learning something new that delights us is wonderful, too. I grew up vacationing in the outdoors with my parents and siblings. I remember several road trips with our pop-up camper, including an epic one to the Canadian Rockies and Glacier when I was in high school. And then, after college, I spent two different summers volunteering at a Christian wilderness discipleship camp in northern Minnesota. 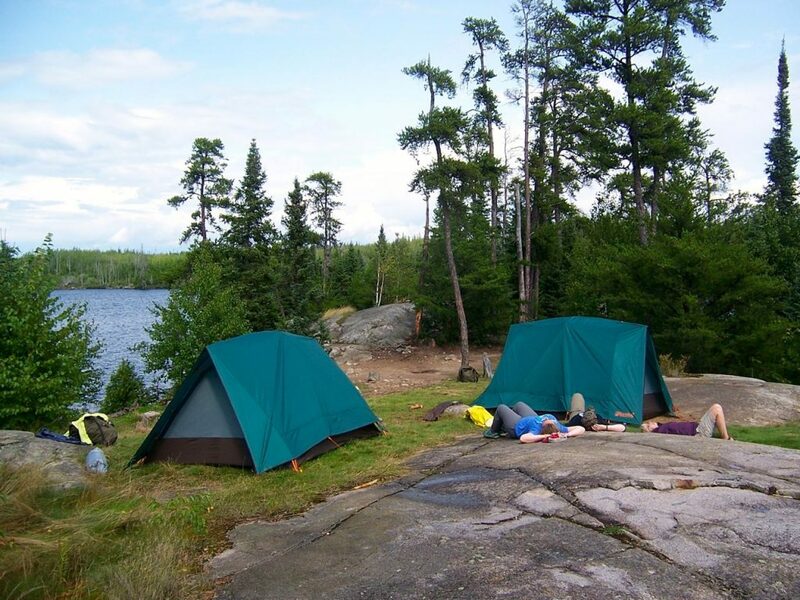 As part of each session, we brought kids into the Boundary Waters on 5-10 day wilderness canoe trips. And I’ve since gone on other canoe trips with our family and friends. These types of outdoor adventure experiences are unforgettable—whether the memories are from great times or really hard times! If you’ve never gone on an outdoor adventure trip—some kind of multi-day excursion that tests your mettle—I encourage you to do it at least once in your life! There’s something about experiencing all of nature’s wonderfulness with others that connects you, and keeps you connected. Especially when you make it a habit. We took group selfies at all the major locations on this family vacation. Here are just 3 of them—one of our best ideas! I suppose like-attracts-like, but I have so many memories of hiking, running, canoeing, kayaking, camping, riding horses, cross country skiing and snowshoeing with family members and friends. Even when the events themselves were hard, the memories are good. It often opens up a new world for some of them. Not everyone gets outside as much as we do, for whatever reason. No matter their “level” of nature-loving, I’ve never had anyone say to me afterwards—”I wish I hadn’t come!” I’ve been able to give them outdoor memories, too. Have you ever noticed that most of the stories you tell are about your hardest experiences? That was 29 years ago! A permanent memory. Recovering from a hard 24 hours on a Boundary Waters canoe trip! I was on another canoe trip just two summers ago with a really intense 24-hour span. (I write about that in How God Uses Wilderness to Shape Us.) While I have zero desire to repeat that experience, I value it for the way it forced me and my trip-mates to push through and persevere…together. There’s something about going through tough things together that connects you in a deep way. It gives you that shared experience that provides lasting memories. 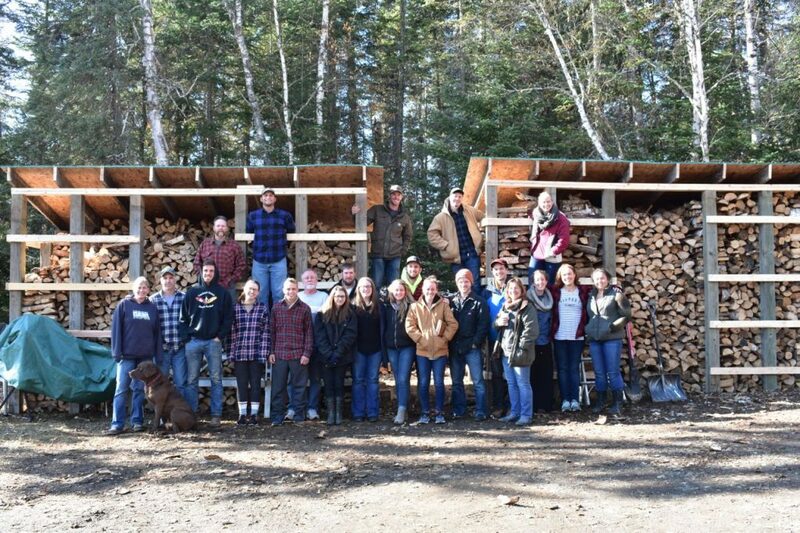 Our family has volunteered for the above-mentioned Christian camp on a long weekend every October for about 8 years now—cutting, splitting and stacking firewood for their long winters. As the Bible says: “It’s more blessed to give than receive.” We’ve found that to be so true! Our family looks forward to this time each year, and we continually have their friends (and even our friends) ask us if they can come along, too. Last fall we had our largest group yet. 2 days of work in the beautiful woods of northern Minnesota (we got snow on Day 2! ), lots of laughing and talking together, meals together, hiking together, hanging out together. Memories made while serving others. Of course this doesn’t just mean outdoor playing—but the outdoors is a magnificent place to gather your family together often. It can be for an hour…for a day…for a weekend…or for an extended trip. What wonderful family memories are built when you take time away together and go into the natural world. Into all that beauty, splendor, majesty and variety. You bond. You talk about these memories for years. It gives you things in common. It gives you things to look forward to. Even though our kids are in their 20s now, getting married, starting businesses and “adulting,” we enjoy getting into the outdoors together when we can. Each family has their own way of building memories together. 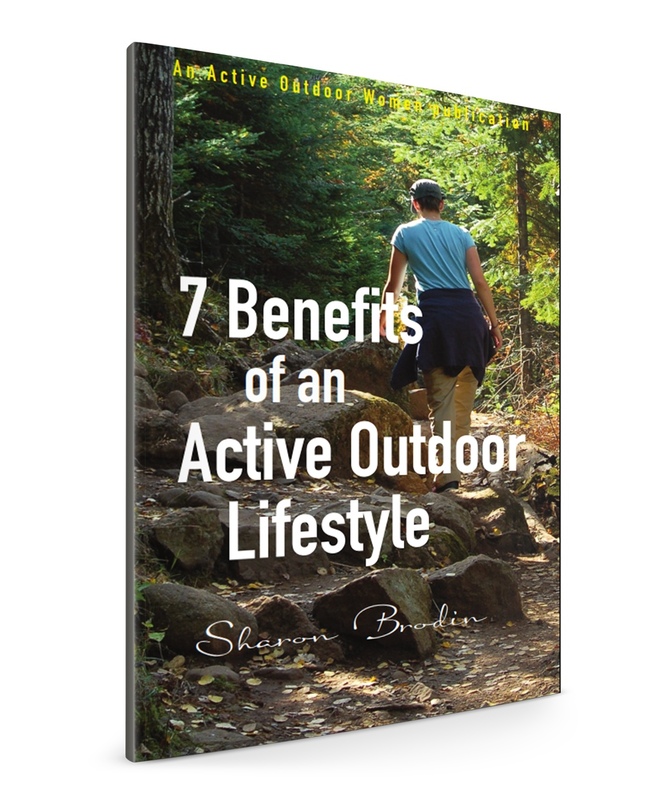 For those of us who love the outdoors and its recreation opportunities, the possibilities are endless. Camping together at the same campground in northern Minnesota, usually with another family or two. Camping, fishing and relaxing together at the same location in the Bighorn Mountains of Wyoming. Spending a week at a cabin on a lake with extended family each summer. Boundary Waters trips each 4th of July weekend. Road trips between Minnesota and Washington to visit extended family, camping along the way. 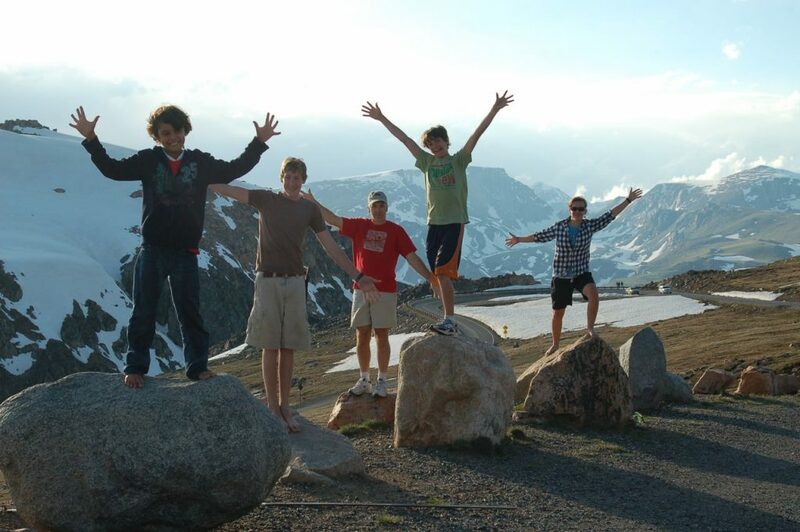 Road trips all over the West to camp and experience our national parks. Our own family has both camped every summer at the same campground in northern Minnesota, and gone on occasional extended road trips to the mountains out West. ALL build memories that are precious and lasting. 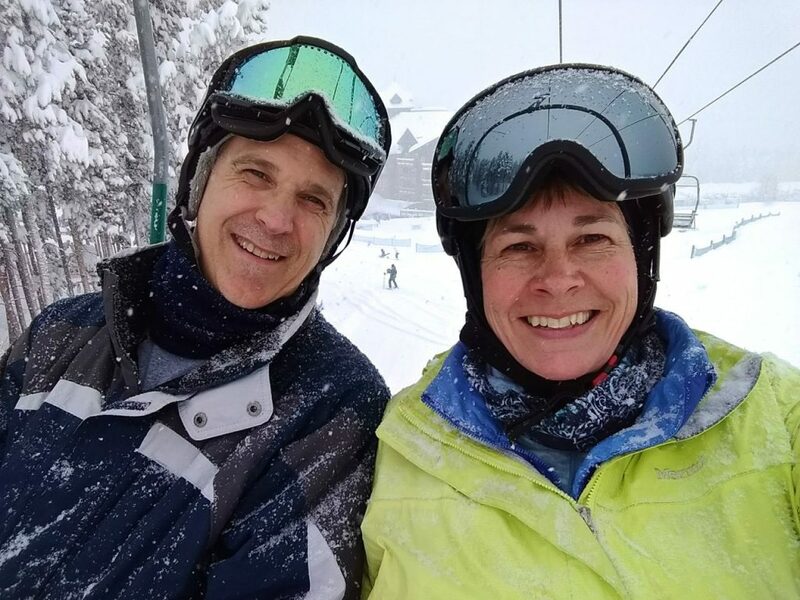 A new memory with my husband and I in Colorado, just a few weeks ago. Take lots of pictures, and be sure you’re in them, too! Do you have kids at home still? Do you have nieces and nephews or grandkids you can build some outdoor memories with? How about friends, co-workers, neighbors, church folks, or relatives? Life is too short to stay inside! It’s too short to not take advantage of the many, many wonderful outdoor destinations near and far.